Join Michael Morris in conversation with Kate Pullinger as they discuss the extraordinary commissioning and producing work of Artangel, the London-based powerhouse that has been supporting artists to create site-specific installations and events since 1985. Described as ‘the guardians of modern art’, Artangel’s commissions range from Rachael Whiteread’s House (1993) to, most recently, Taryn Simon’s An Occupation of Loss (2018), with former clients going on to win the Turner Prize and Academy Awards, and exhibit at the Venice Biennale. This is the third event in the Bath Spa University Public Lectures Series for 2018/19. Michael Morris, alongside James Lingwood, has been Co-Director of Artangel since 1991. 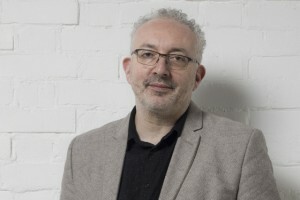 After working at London’s Institute of Contemporary Arts (ICA) as Director of Performing Arts in the 1980s, Michael established his own production company, Cultural Industry (1987 – 2013), to develop the work of leading international artists including Pina Bausch, Robert Wilson, Laurie Anderson and Robert Lepage. Kate Pullinger is a Professor of Creative Writing and Digital Media at Bath Spa University, and Director of the Centre for Research in the Cultural and Creative Industries. Kate writes for both digital and print platforms and is Co-Investigator on the two-year AHRC- funded research project, Ambient Literature, in collaboration with UWE, the University of Birmingham, and the Pervasive Media Studio in Bristol. The talk will be followed by a wine reception. The talk will take place in the Brownsword Gallery on the top floor of the museum. It can be accessed via a lift from the ground floor. If you have any queries about this event, please contact Dr Helen Goodman at h.goodman@bathspa.ac.uk.